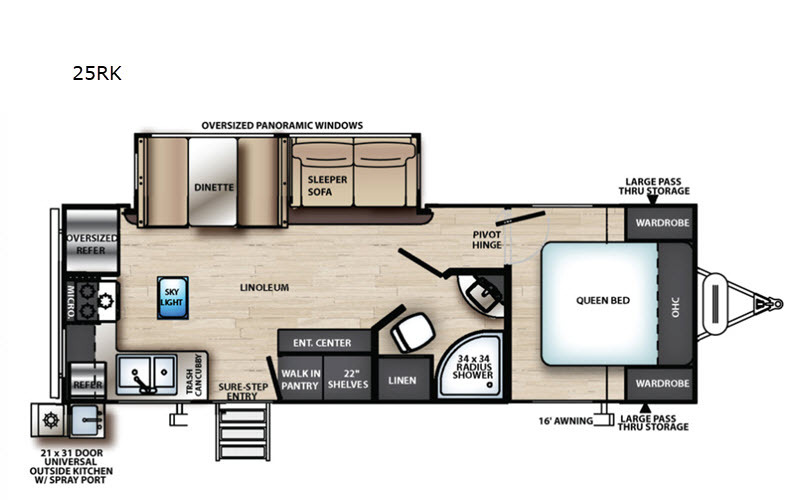 This travel trailer with a rear kitchen will fit your family of six perfectly. The front private bedroom has a queen bed with two wardrobes, and a pivot hinge door. Cook dinner for the whole family using the three burner cooktop, the microwave, or use the outside kitchen to enjoy some fresh air. 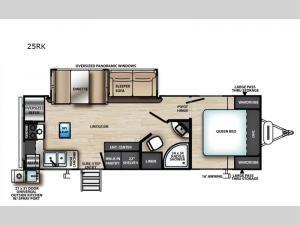 You'll love the slide out in this unit that includes oversized panoramic windows. Enjoy all the features this model has to offer, including a walk-in pantry, a kitchen skylight, a shower skylight, plus a 16' awning to shade you while you enjoy the great outdoors.